Perfect for beginners who want something truly magical. Supplied as a pack of 5 bulbs, ready for planting. 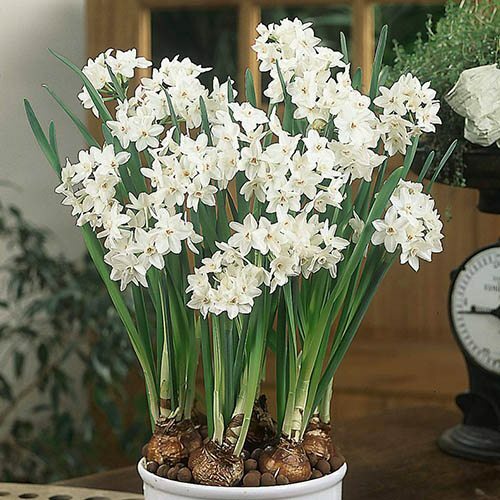 This popular, multiple flowering Narcissus is perfect for growing indoors in a pot on your windowsill. Its small, sweetly fragrant, pure-white flowers make excellent cut flower displays, and they are ever so easy to grow. Perfect for beginners who want something truly magical.